PARIS/NEW YORK - Many people thought Anthony Bourdain had the most enviable career in existence. He didn’t deny it. Bourdain’s stunned fans were mourning the loss of that singular imagination on Friday following his death from an apparent suicide, recalling everything from his fearless consumption of a beating cobra’s heart or a sheep testicle — “like any other testicle,” he remarked — to his outspoken support of the #MeToo movement, to his blissful paean to syrup-soaked pecan waffles at Waffle House. “I want it all,” he wrote in his breakthrough 2000 memoir, “Kitchen Confidential.” “I want to try everything once.” And it seemed that he pretty much accomplished that, traveling the globe some 200 days a year for his TV shows, reveling not in fancy tasting menus — which he scorned — but in simple pleasures like a cold beer and spicy noodles in Hanoi, which he once shared with former U.S. President Barack Obama. For him, food, though a huge pleasure, was more importantly a storytelling tool, and a passport to the world at large. There was, of course, a more lighthearted side to his travels, including some wild and bizarre eating experiences. In Morocco, it was that roasted sheep’s testicle. In Canada, it was a raw seal’s eyeball. In Namibia, it was the wrong end of a warthog (he wound up with a parasite.) In Vietnam, it was the still-beating heart of a cobra that had just been sliced open. But besides showcasing food, a “Parts Unknown” trip to Japan in the series’ first season included an odd show with robots and scantily clad women, a visit with a death metal band and a meal shared with a woman involved in the city’s sadomasochistic community. Asked in a 2015 interview with National Geographic which city has it all and why, he was quick to respond. In an interview with CNN Money in March, he again spoke of his love for the capital. Much closer to home — Bourdain lived in New York, when he wasn’t traveling — was a late-night visit to Waffle House in Charleston, South Carolina, described in poetic terms by Bourdain as “an irony-free zone where everything is beautiful and nothing hurts; where everybody regardless of race, creed, color or degree of inebriation is welcomed.” Sampling the pecan waffle drowning in butter and maple syrup, he exclaimed, “This is BETTER than French Laundry, man,” referring to the Napa Valley temple of high cuisine. 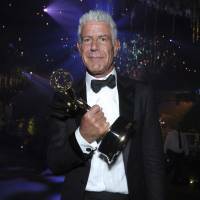 That clip was being widely shared on Friday, and fans were also flocking to Amazon, where at mid-afternoon, four of the six top-selling books were by Bourdain. “Kitchen Confidential” was No. 1. 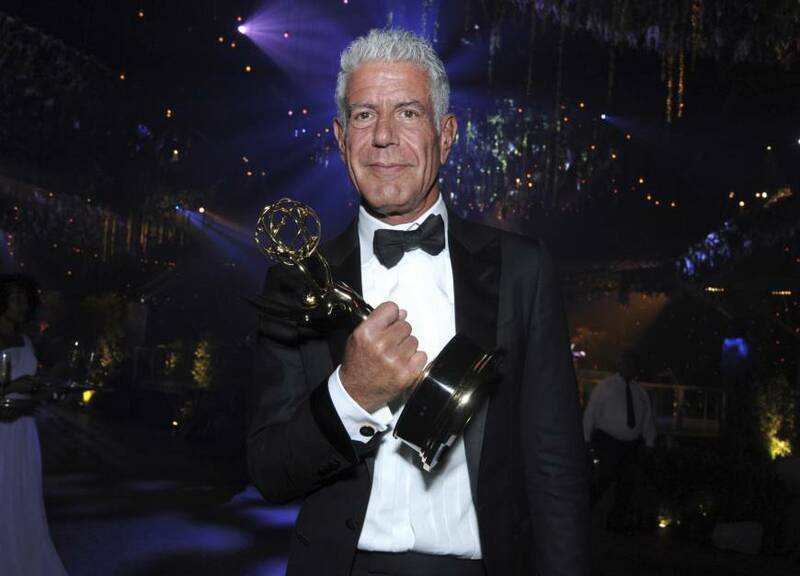 In that acclaimed book, Bourdain, who was born in New York City and raised in Leonia, New Jersey, candidly described his personal struggles, including drug use that led to his dropping out of Vassar College. But he thrived in restaurant kitchens, and that work led him to the Culinary Institute of America, where he graduated in 1978. He eventually became executive chef at Brasserie Les Halles in 1998. In the preface to the latest edition of “Kitchen Confidential,” Bourdain wrote of his shock at the success of his book, which he managed to write by getting up at 5 a.m. before his kitchen shifts. Countless more wrote of their shock and sadness. Some noted that Bourdain’s death came just days after the suicide of fashion designer Kate Spade, also a great shock to those who knew her. Bourdain’s own mother, Gladys Bourdain, a longtime editor at The New York Times, said she had no indication that her son might have been thinking of suicide.